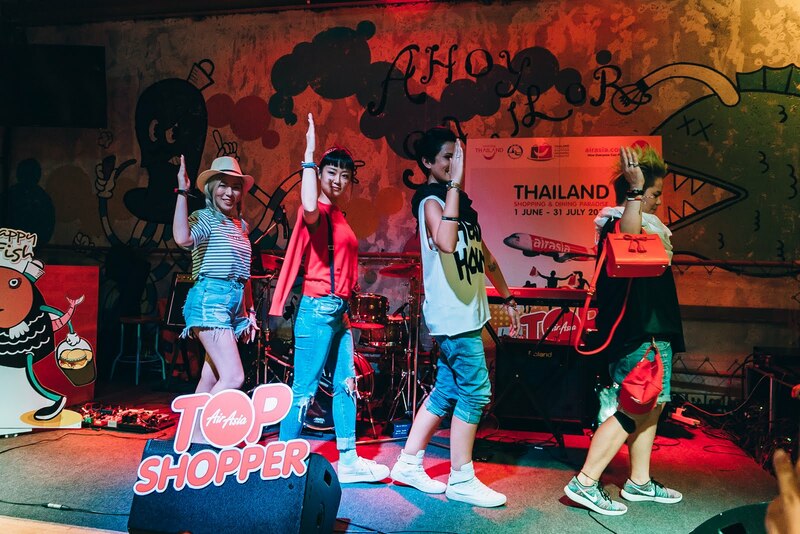 AirAsia invites you to Thailand – Land of Shop and Dine! ~ Smithankyou - Lifestyle and Travel Photo Blog. 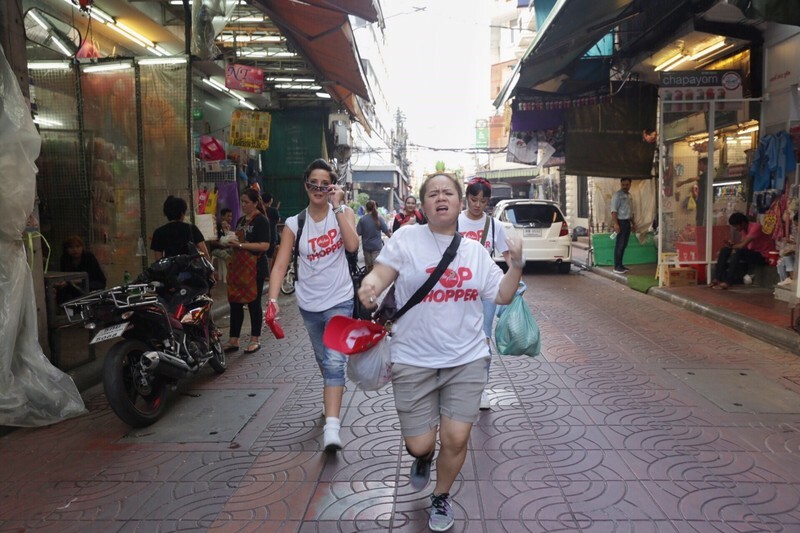 AirAsia invites you to Thailand – Land of Shop and Dine! Nope, I didn't get my facts wrong. 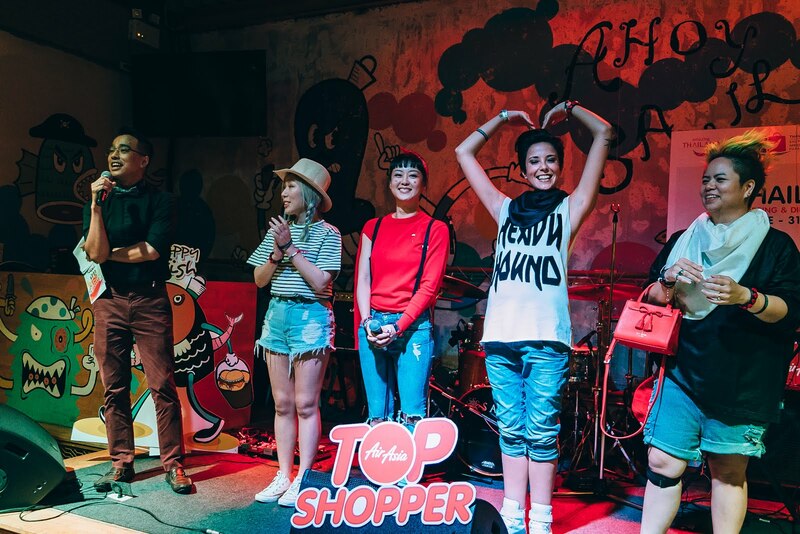 While I know that Thailand is better known as the Land of Smiles but with the way things are happening in the country now, I think Land of Shop and Dine is pretty apt too! I will usually hit Bangkok every 1 - 2 months not just because of my business there but also because my love for this place. THE FOOD! And I don't just mean Thai food but the wide choice of international cuisine as well. Besides the food, there's the shopping too! I always visit Bangkok with a huge (empty) luggage even if it's just for a 3D2N trip I will load it up with my shopping - clothes, snacks, toiletries and even props for my photography and videography projects. They have way more options at wayyy better prices. The most recent trip was however a little different. 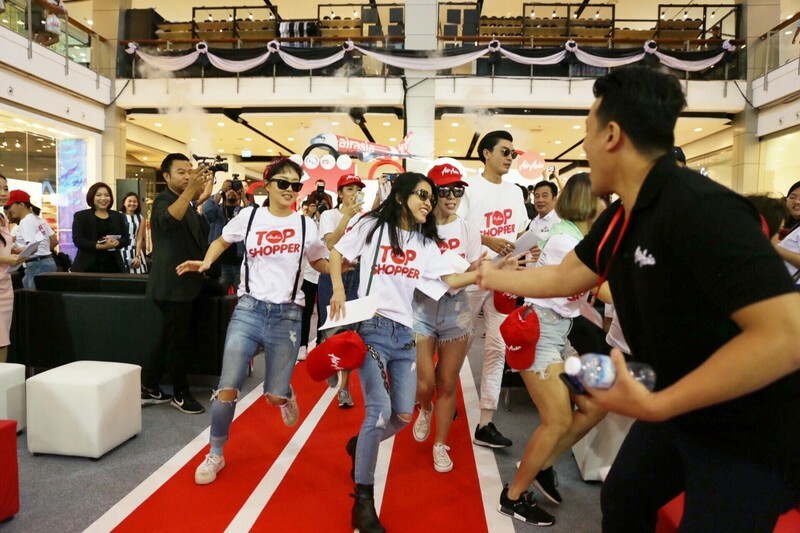 I was there with AirAsia and the Tourism Authority of Thailand to attend the launch of Thailand Shopping and Dining Paradise 2017. 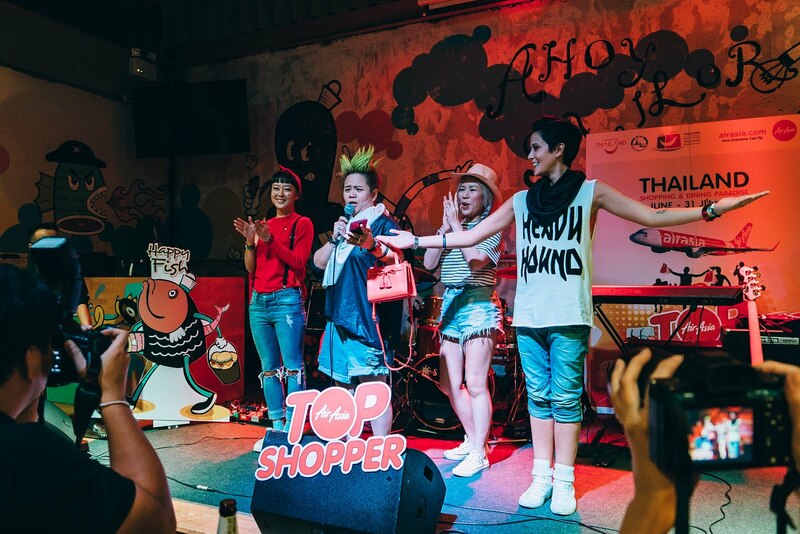 Besides myself, I was accompanied by a team of beautiful ladies from Singapore with 4 of them – Roz, Rebecca, Cinddie, and Jill - representing Singapore to face off Hong Kong and Vietnam to win the title of AirAsia Top Shopper! 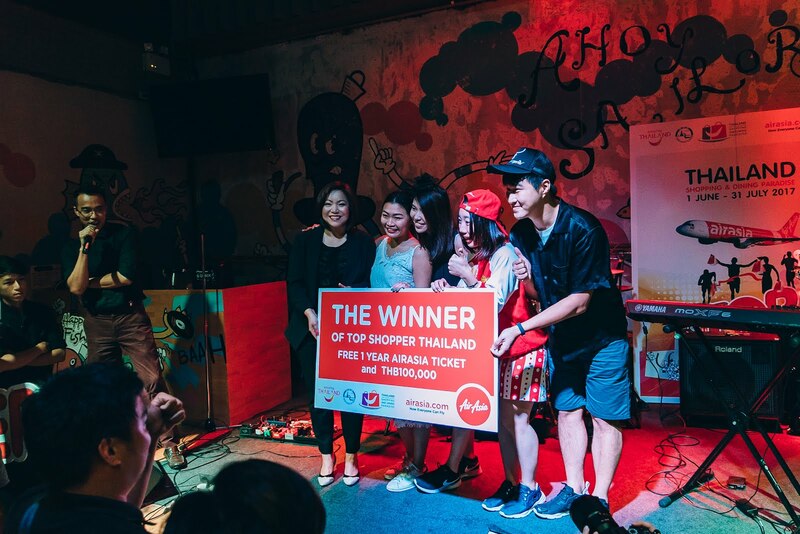 The winners will eventually walk away with 1 year of unlimited flights with AirAsia! Tbh, I even considered drugging Jill's food so I can be the one participating. LOL. Sorry Jill if you are reading this. To be honest though, I don't think I can do it half as well as any of them. Look at their energy! 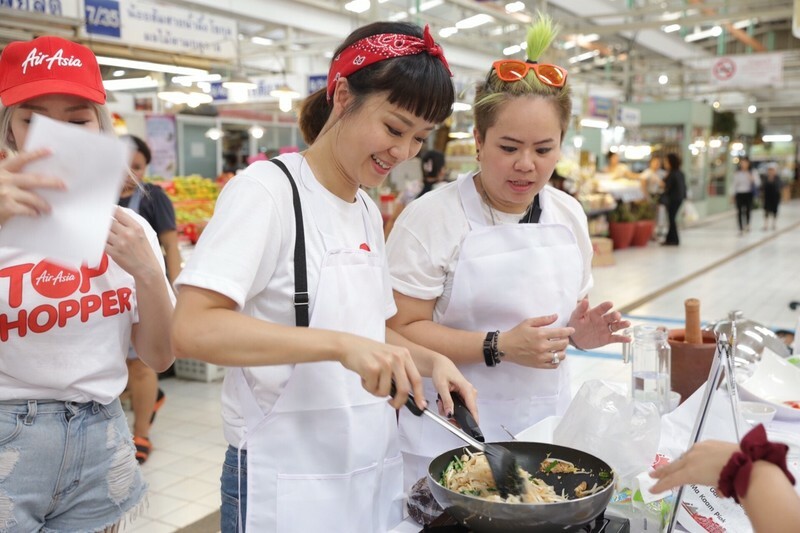 The contestants were tasked to shop around Bangkok for delicious local food, local fashion, and local everything else. 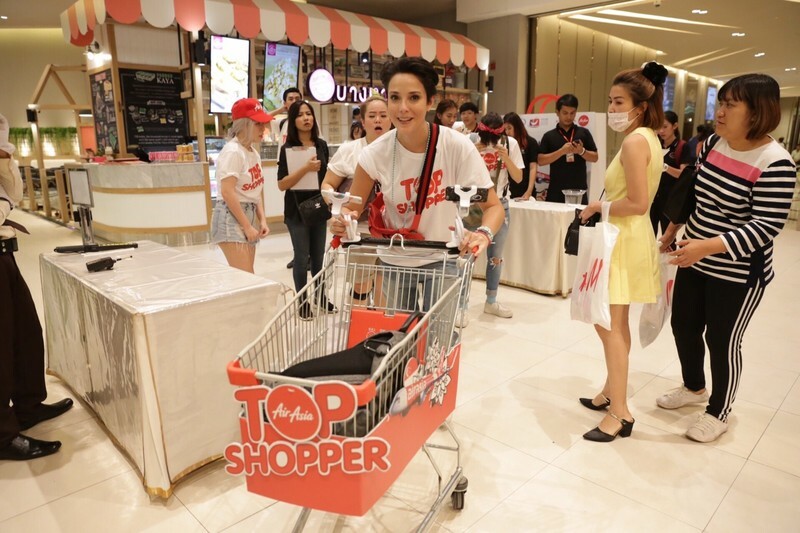 The team that comes in the fastest and completing all the challenges with the least amount of money will raise above the rest as the Top Shopper! 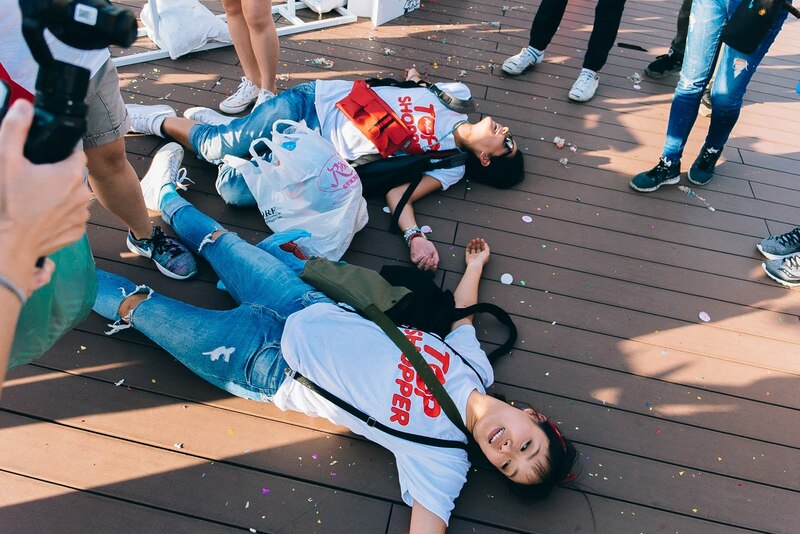 Singaporeans might be known for our fast walking speed, ability to shop whole day, as well as how kiasu we are but unfortunately we did not win the game. But take a look at these images below and you will feel like they are already winners just being part of it. 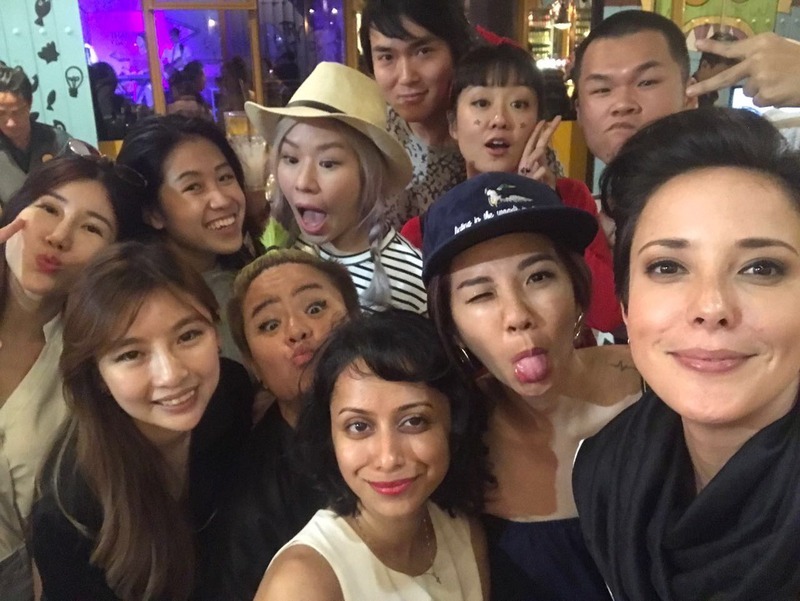 Shopping, eating, traveling, and basically having fun! The challenges were really no simple tasks. We were trying our best to catch up with them to take photos and we had such a hard time because they were so fast! They were really committed to winning the game I'm sure. Rebecca did everything she could to get a discount! LOL. And we could tell they really tried their best. Not just to win but also to entertain everyone! So I was saying how hard it was to catch up with the ladies during the challenges right? So what were we doing since we lost them? 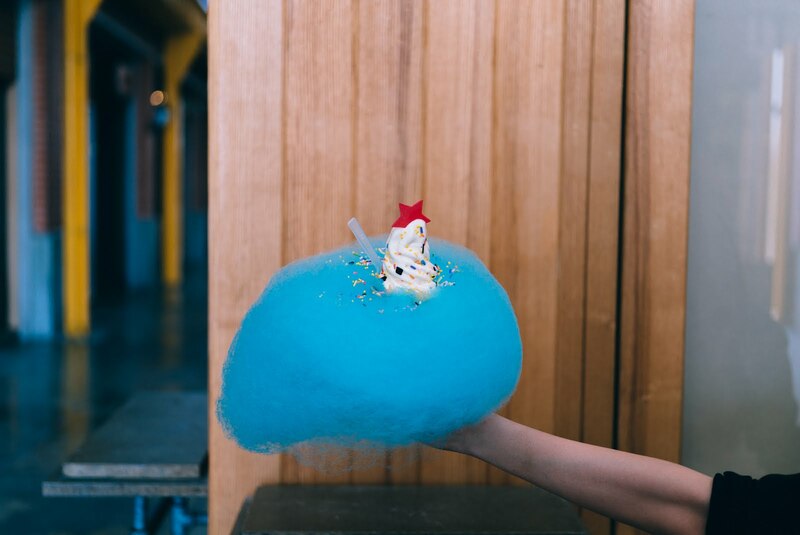 *Cough* Well, no one can say no to the magic of Thailand's shopping and dining scene, right? That's not all. 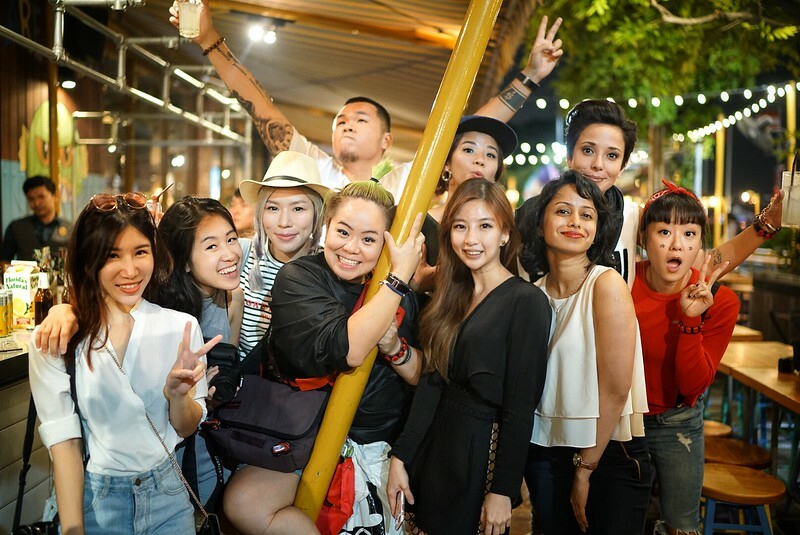 After the challenges in the day, the ladies were also asked to put up a fashion show in the evening with some of the things they bought at Asiatique. The ladies sure went above and beyond. Instead of just a fashion show, they gave what the judges called a variety show. The girls were singing and dancing and got everyone's night filled with laughter and joy. See, who says Singaporeans only know how to follow rules? 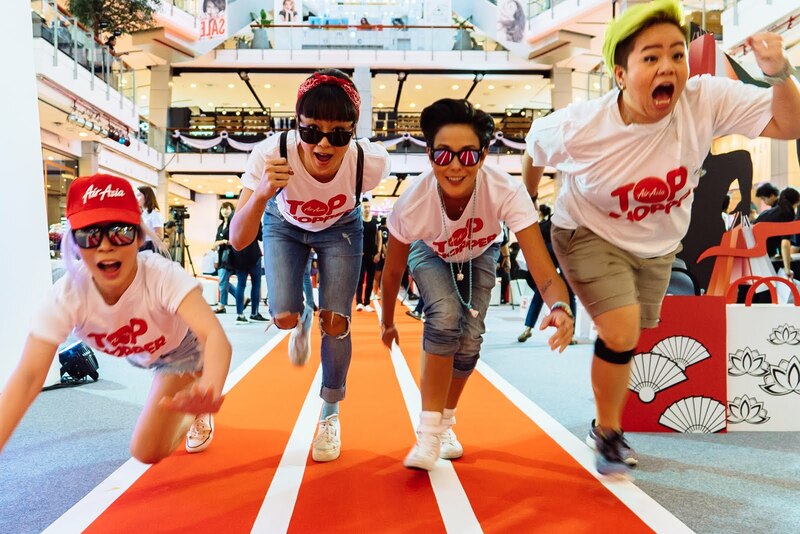 After all the challenges, Team Hong Kong emerged as the overall winner! Actually, I did so much shopping, dining, and partying, it felt like I was the real winner too! We really did quite a bit despite it being a short trip. 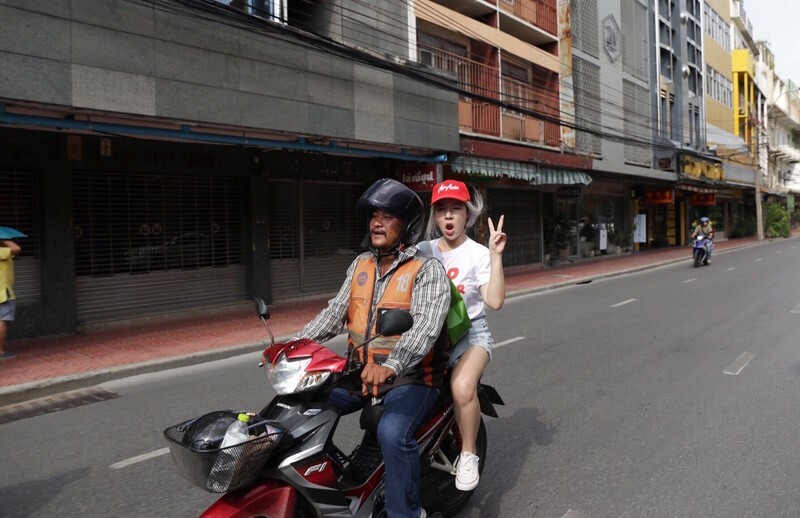 Can't wait to be back in Bangkok soon!